Take one bowl. add chopped mangoes, grated paneer, sugar and mix well. 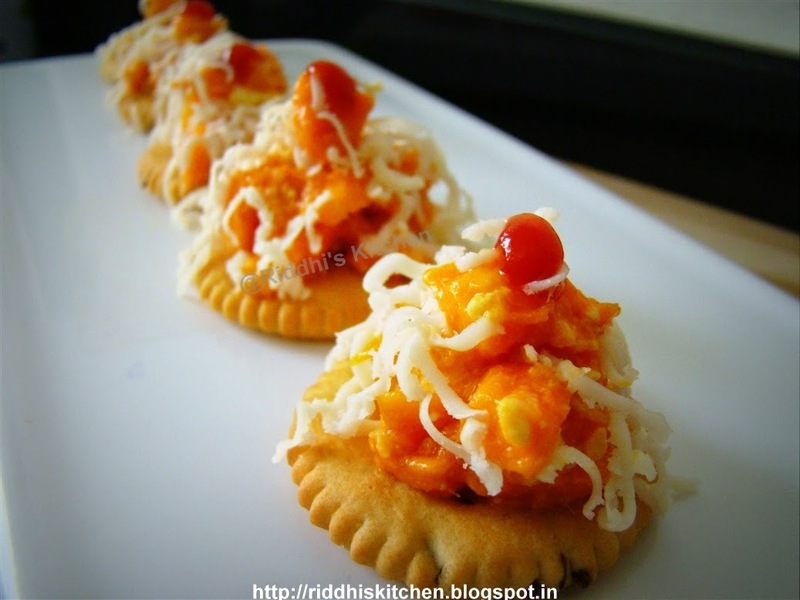 Take one salted biscuit and put mango mixture, sprinkle cheese and pour one drop of tomato catch up. Serve immediately with any mocktail or juice.